Lightweight yet strong self propelling wheelchair is ideal for those who have trouble walking long distance. This wheelchair offers great functionality in a basic wheelchair and is suitable for home or institutional use. 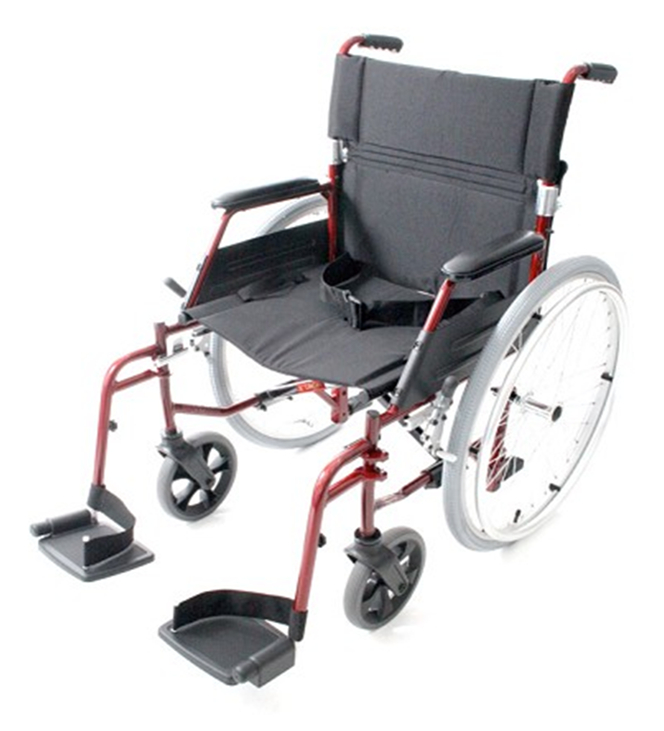 Some of the Lawson’s features include Swing away footrests with heel loops to prevent castor wheel hitting the back of the users heel, Lap belt for added securely when travelling in wheelchair, Folding backrest for easy storage and transport, Padded black nylon flame retardant upholstery, Self propelling rear 61cm/24”quick release pneumatic wheels with push rims and Solid 20cm x 3cm front castors. 43 cm model – Seat width: 43cm, Seat depth: 40cm, Seat height: 48cm and Backrest height: 44cm. 46 cm model – Seat width: 46cm, Seat depth: 40cm, Seat height: 48cm and Backrest height: 44cm.